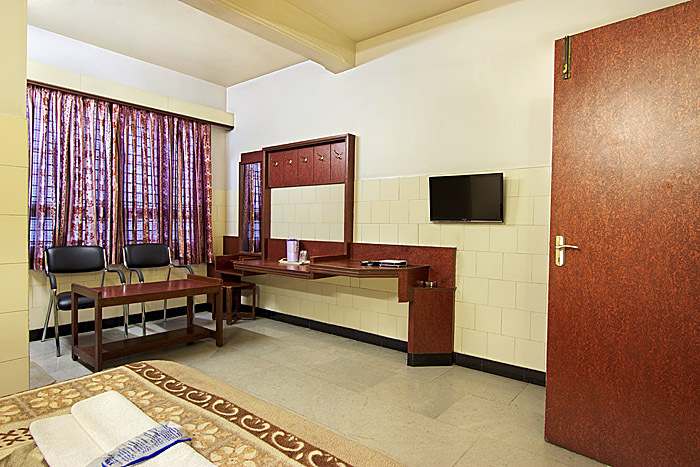 Namaste and Welcome to Mannars Yatrinivas Hotel, offering budget hotel deals, stylish modern rooms and excellent hotel service in the vibrant city of Mysore (also known as Mysuru). The luxury to travel in India is a stimulating journey and a popular tourist destination. 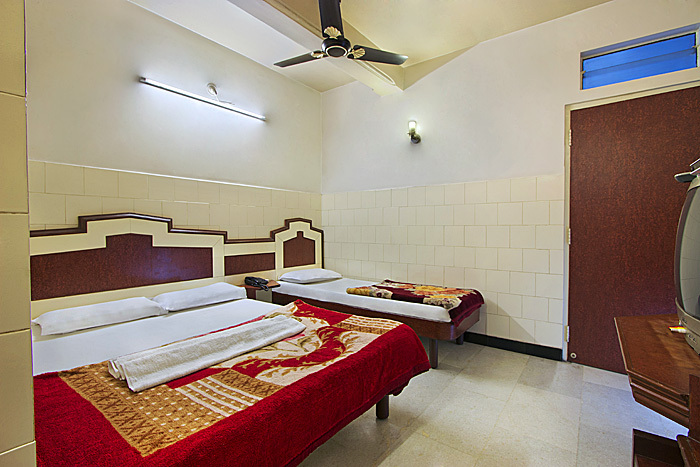 Our hotel resides in the city, close to local market sellers offering their fine quality silk clothing, handcrafted arts and sandal wood incense infamous to India. Food lovers can choose from a number of stalls selling fresh fruit and vegetables, bespoke to shopping options; exquisite restaurants and bars. 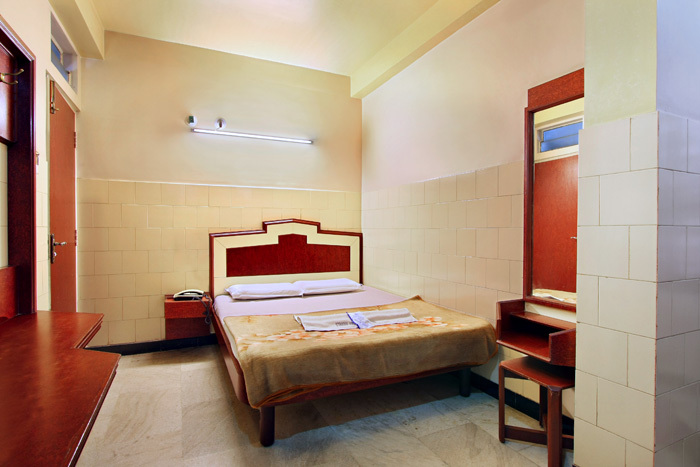 Our hotel is part of a leading chain of lodging and budget hotels in the city of Mysore. Conveniently, transport is available within a 2 km radius of the city, offering regular taxis and local buses, or located 1 km (15 minutes by foot) from Mysore Railway Station. The international airport or Bengaluru Airport in the business district of Bangalore, is a 4 hour drive on the road to Mannars Yatrivinas Hotel. 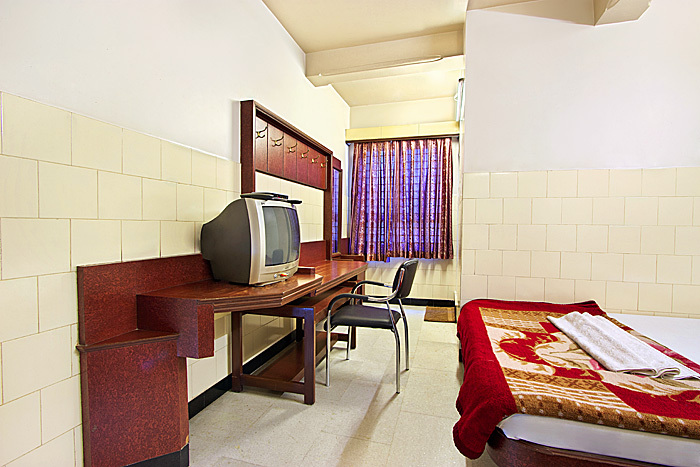 At Yatrivinas hotel we offer 24 contemporary furnished Guest rooms, Deluxe rooms and Super Deluxe rooms, with modern amenities, stylishly designed room, featuring historic paintings that blend with the city’s history adding character to the spacious rooms, which are offered at cheap prices. Enjoy hotel luxury at your leisure, assisted by our friendly and professional staff. We offer a hotel shuttle service to and from the international airport in Bengaluru(on request). We also offer car parking space and 24 hour room service – including laundry, a doctor on call and a 24 hour main reception desk. Visit the ‘City of Palaces’ renowned for its regal heritage and view a fascinating collection of artefacts about the development of transport at The Railway Museum. While the historic towns of Srirangapatna and Nanjana Gudu offer an insight to the prevalent culture and religious customs bestowed in ancient temples and iconic landmarks. A trip to Mysore Zoo is home to exotic wildlife and a nature reserve by lake Krishna Raja Sagara, which leads to the botantical gardens Brindavan and cascading waters at Balamuri Falls. Popular by visitors is the magnificent view of the Chamundi Hills which overlooks a panoramic view of the Mysore city of Karnataka. Recharge your energy and dive into India's vibrant city life. Friendly hospitality at the hotel. The staff provided my travel essentials and assisted with a pick up car from the airport. A fantastic location despite the busy, congested streets. Mannar’s Cafe and Restaurant has a great selection of delicious traditional Indian dishes. Mysore Palace is a jem of regal heritage, enchanting visitors with architecture, dating back to late nineteenth and early twentieth century of Indo-Saracenic designs. A spectacular light show illuminates Mysore palace on Sundays, public holidays and during the Dasara celebrations when 97,000 electric light bulbs are switched on. Located at Sayyaji Rao Rd, Mysuru, Karnataka 570001, south India. The grounds also face the magnificent Chamundi Hills eastwards of the inner region of Mysuru. 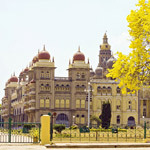 Visitors can embark on a journey through Mysore’s heritage during the week between 10am and 5.30pm. Mysore Zoo, officially known as Sri Chamarajendra Zoological Gardens is home to a sanctuary of 168 species of wildlife fauna from India and botanical beauty, spreading across a 157-acres (64 ha) of lush greenery. 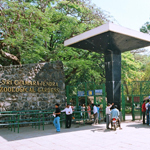 It is one of the oldest and most popular zoos in south India. A great day of exploration for wildlife and nature enthusiasts,as activities will keep you and your family entertained. Mysore Zoo is dependent on entry fees to finance the running of the centre, however an improved adoption scheme introduced in the early year of 2000 has been a success, welcoming celebrities, institutions, and animal lovers to contribute directly to the welfare of the zoo inmates. Visit Mysuru Zoo at Sri Chamarajendra Zoological Gardens, Indiranagar, Mysuru, Karnataka 570010, India, open between 08:30 – 5:30 pm. KRS dam built in 1932,is located 12kms from northwest of mysore. The project was designed by foresighted engineer sir M Vishveshwarya and constructed during the rule of Krishnaraja wadiyar IV.The dam is around 8600ft. long and 130ft. height with a reservoir spread over an area of 13osq.kms.It represents a marvel of civil engineer achievements in pre-independence India and was among the first in the world to use automatic sluice gates. 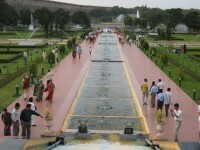 There is a boating pond to across the dam from the south bank to the north bank and the northern edge are the dancing fountains the beautiful Brindavan gardens is located just below the KRS dam.